Experience: Over 10 years in the IT industry. Projects sought: Long-term mainly, but I like to mix it up. Both full time and part-time. Markets: India – but would also like to work remotely for firms in the UK or EU. Other interests: Participates in sports activities – college studies sports team, volleyball, football, basketball. Take a look at BM’s profile and CV on 365 Freelance. Sandra from 365 Freelance: Venkatesh, thanks for taking the time to talk to us. You are widely experienced and qualified – what certifications do you have in Dynamics NAV? I’ve always been keen to get NAV certifications, which are great assets when it comes to finding a new project. I have a number of NAV qualifications going back as far as version 4. But you’ll see on my profile that I have also passed exams in .NET, Azure and Office 365, as well as Licencing, Sales and Marketing. Sandra: That’s a great mix of skills, certifications, and experience, both pre-and post-sale. What is your ideal role? Venkatesh: I am looking for consulting roles which can include Business Development activities – the same kind of role as I’m doing now. I’m a NAV specialist who’s implemented multiple ERP solutions -NAV, SAP Business One, etc. – in various industries and companies. This wide implementation experience means I am really well placed to advise prospective customers on what works well and what doesn’t, and back this up with real-life practical examples. This credibility gives a real advantage in a presales situation as well as in implementations. In my current work, I am called a Business Manager and Development officer. I’d like to find a role with a similar broad spectrum, where I would be involved in all steps of the development life-cycle: pre-sales, requirement gathering, analysis and design, coding, testing and deployment. 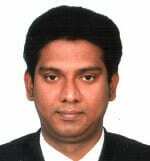 I am certified and experienced in most aspects of NAV implementations, but also can cover Business Development roles. I’m experienced in selling Microsoft products including Dynamics NAV, Office 365, Windows Azure cloud, and so on. In terms of Business Development, I can manage a presales team of phone operators, and I’m not afraid of cold-calling myself. I am experienced in account management and I am good at communicating with C-level as well as departmental managers and users. My lengthy presales background has served me well in developing my career to become involved in mergers, acquisitions, business development, and marketing. My exposure to a wide spread of businesses and technology environments helps me understand a particular company’s strengths and weaknesses very quickly. I understand what the customer needs, develop an initial view of the solution – then tailor the product or service, explain (or help sell) this solution to the customer, help close the deal or sale and often stay on to ensure that the delivery team or product specialists that follow me provide the intended solution. Sandra: So you are an ERP consultant who can help find leads, sell and do presales, and also implement. You’ve also worked with various non-Dynamics technologies such as SAP Business One. From your perspective, what advantages are there in the NAV application compared to SAP Business One? Venkatesh: Good question. I think they are much more similar than people expect, actually. NAV is more user-friendly and more robust than Business One, but more expensive. Ultimately, I do think that too much focus on comparing features between NAV and Business One has little value – MySAP would be closer to NAV in terms of targeted businesses and inbuilt functionality. Business One is for very small organisations whose requirements aren’t too stringent. NAV is targeted at mid-sized businesses, while AX and MySAP would be for companies who need a tier 1 solution. Some customers soon migrate from SAP Business One to NAV, and there are migration tools to help them in the process. I have done some of these migrations myself. Sandra: In terms of NAV opportunities in India, are they mostly linked to supporting local end-users or do you work remotely on offshore opportunities? Venkatesh: The ERP market in India is now developing, heading towards an increased use of solutions such as Dynamics NAV in a SaaS delivery model. There are a lot of opportunities at the moment in India, both with end-users and partners. As well as local work, I have done various remote support projects. Web sites like yours will make this a lot easier as it is so focussed on Dynamics. Sandra: Thanks. What else do you think of the 365 Freelance website and of the 365 Freelance concept? Venkatesh: I like it. I like that all the details are included in the profile. I find it user-friendly. It’s great that it’s a totally free service for the freelancers. There are good opportunities there. 365 Freelance is totally different from other Dynamics career websites. I like that very much. Employers can easily find resources anywhere in the world and freelancers can access job opportunities easily and quickly. I think it’s a good website for Dynamics professionals. Sandra: Thank you, Venkatesh! It’s a pleasure to hear about your experience. About us: 365 Freelance is the first online platform that gives Dynamics partners and end-users instant access to hundreds of contractors. With a network spanning 78 countries, it allows companies to search for freelancers based on their skills, rates and available dates, enabling them to find the best person for their projects without incurring the hefty fees typical of recruitment agencies. Register here – www.365freelance.com.